News, Tips & Advice - Black Bench Tops - Direct Paint Australia’s online paint experts. Quality products, delivered to your door. 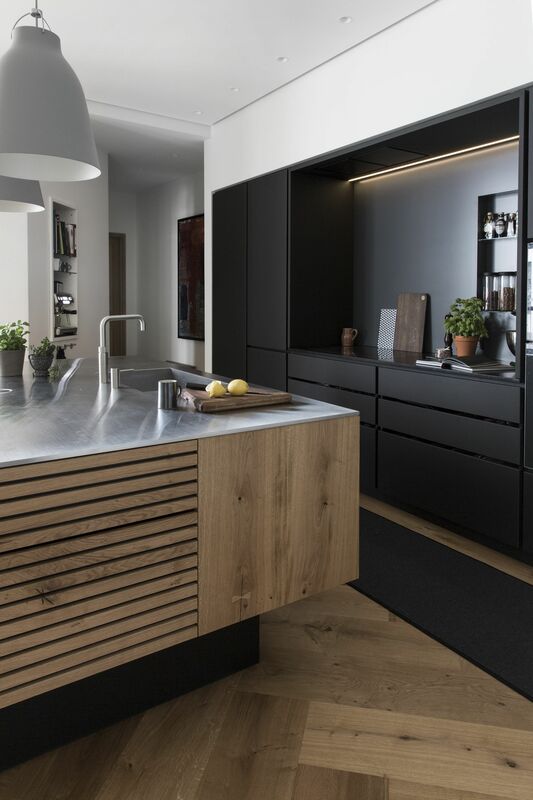 One Kitchen trend that has already emerged for 2019 is Black Bench Tops. White bench tops were the previous favoured choice when it came to current kitchen trends and are still being used but are now being used with Black Bench Tops as well. Long gone are the days of keeping all your bench tops the same as the trend for 2019 is to mix things up with your bench top colours and materials. Kitchen Island benches are the perfect feature to highlight by opting for a different colour and/or material to the remainder of your kitchen tops. And not only is black being used for just bench tops this year, but also for cabintery making 2019 all about 50 shades of black. Check out these Kitchen Designs where Black is the New White when it comes to bench tops. Tip: Afraid of making your Kitchen too dark with too much black? Then add accents of Copper and marble to your space to really brighten things up. The richness of Copper brings warmth and a third dimension to this black and white colour scheme. And to really steer clear of creating a stark room, add some timber for that natural element without taking away the focus from your Kitchen.